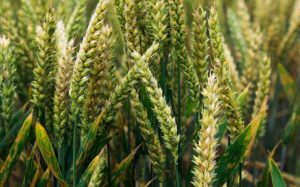 Wheat rust, a family of fungal diseases that can cause crop losses of up to 100% in untreated susceptible wheats, is making further advances in Europe, Africa and Asia, according to two new studies produced by scientists in collaboration with Fao. 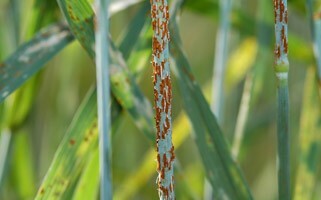 At the same time, well-known existing rust races have spread to new countries, the studies confirm, underlining the need for early detection and action to limit major damage to wheat production, particularly in the Mediterranean basin. Wheat is a source of food and livelihoods for over 1 billion people in developing countries. Northern and Eastern Africa, the Near East, and West, Central and South Asia – which are all vulnerable to rust diseases – alone account for some 37% of global wheat production. «These new, aggressive rust races have emerged at the same time that we’re working with international partners to help countries combat the existing ones, so we have to be swift and thorough in the way we approach this», said Fao Plant Pathologist, Fazil Dusunceli. «It’s more important than ever that specialists from international institutions and wheat producing countries work together to stop these diseases in their tracks – that involves continuous surveillance, sharing data and building emergency response plans to protect their farmers and those in neighboring countries».